To provide a welcoming and inclusive atmosphere where individuals can explore the benefits of ritual immersion; to provide meaningful education for those interested in modern as well as traditional uses for the mikvah; to provide a safe, intimate spiritual space for all Jews and those converting to Judaism. 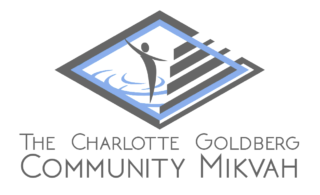 The Charlotte Goldberg Community Mikvah was established in 2000 after Charlotte Goldberg attended a beautiful spiritual mikvah ceremony for her granddaughter in Mexico City. Wishing to provide a kosher, modern spa-like space for other families in Cleveland to enjoy, the building was constructed and certified under the supervision of Rabbi Ben Zion Bergman, of the Committee of Law and Standards. The Community Mikvah is located on the grounds of Park Synagogue in Cleveland Heights. All maintenance and kashrut is supervised by Rabbi Joshua Skoff.